Cape Town attractions have made it a famed destination for many Hollywood & Bollywood stars and diverse global travelers alike. Take a trip to on the Cape Winelands and taste South Africa's homegrown wines; see the world from your vantage point on the top of famed Table Mountain; dine like a king at any of South Africa's fantastic restaurants and celebrate the great outdoors even during the winter months. 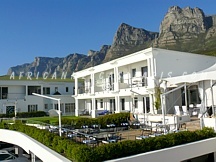 Below is a listing of Camps Bay Cape Town accommodations in South Africa. 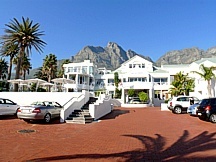 Camps Bay Retreat is located in the Glen area of Camps Bay, Cape Town. The hotel is a sanctuary for the soul, set on four acres of lush green nature reserve. With a mountain meditation pool, thickets of trees, waterfalls and streams, it is a peaceful paradise, where meditative moments are waiting to be had. Views stretch across the ever-changing Atlantic Ocean and along the peaks of the Twelve Apostles Mountain Range, from the Deck House and The Villa. The Bay Hotel offers a distinctive blend of sophisticated elegance and casual comfort. It is superbly designed with 78 rooms and suites offering luxury in an unsurpassed setting. With all the natural elements taking centre stage, The Bay Hotel's rooms are designed to enhance the views of the mountains and the sea. No less than four hotel pools with expansive sun decks offer superlative views of the Atlantic Ocean and majestic Lion's Head. Twelve Apostles Hotel and Spa stands at the edge of the world. On one side, a line of majestic mountains The Twelve Apostles reaches towards the heavens; on the other, the sun sets on breeching whales, playful dolphins, and crashing Atlantic rollers. And all around, you can walk the wilderness trails of the Table Mountain National Park. 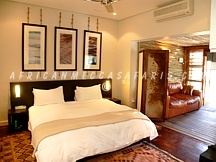 Thw hotel's light, airy, and peaceful rooms are an eclectic mix of contemporary African style, classic European comfort.